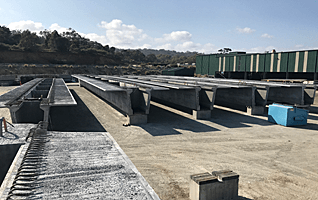 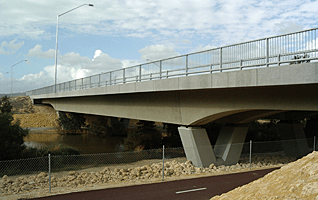 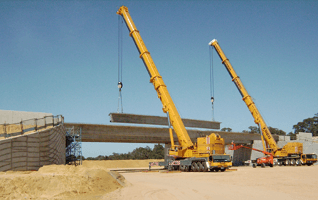 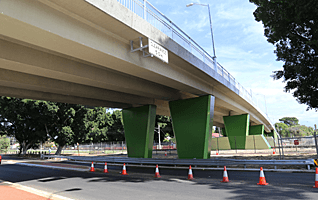 Delta has been manufacturing and supplying precast prestressed concrete TeeRoff Beams to numerous Main Roads projects throughout Western Australia since 2002. 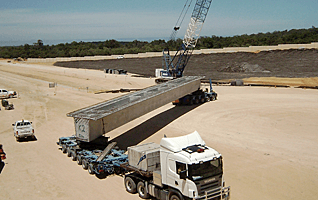 Projects supplied are located as far north as Kununurra down to Esperance in the far south. 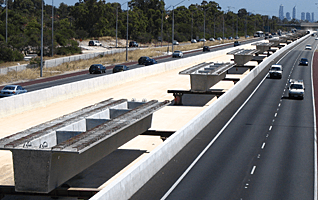 Major projects supplied around the Perth Metropolitan area include Roe Highway stages 4, 5 & 7, South West Mandurah Rail Link, Perth to Bunbury (Forrest) Highway, Gateway WA Project - Perth Airport Interchange and the Great Northern Highway Bypass Stage 2. 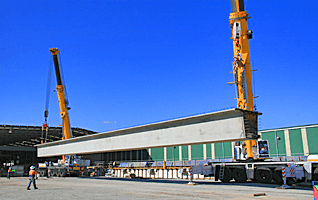 A range of beam sizes have been manufactured and delivered to sites ranging up to 43.0m long, 2.25m deep, 5.20m wide, weighing up to 185.0 tonne. 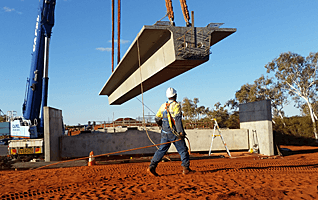 All beams are manufactured in accordance with the Main Roads of Western Australia’s stringent specification ensuring the highest quality is achieved. 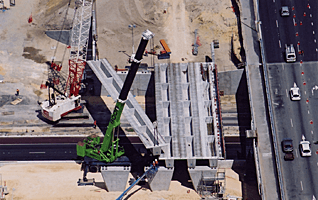 Watch the time-lapse video of the Quick Mud Creek bridge being assembled.